You don’t have to spend a fortune on dental care to keep your mouth healthy. The same goes for cosmetic dentistry, too. A beautiful smile doesn’t have to equate a high five-figure bill. What most dental patients don’t realize is that the more often they s, the earlier potential conditions and diseases can be discovered and prevented than if they wait years to see their dentist. The biggest way to save money on dental care is to actually schedule and visit your dentist in Eagan— in some cases, more visits help prevent higher cost dental treatments and procedures. 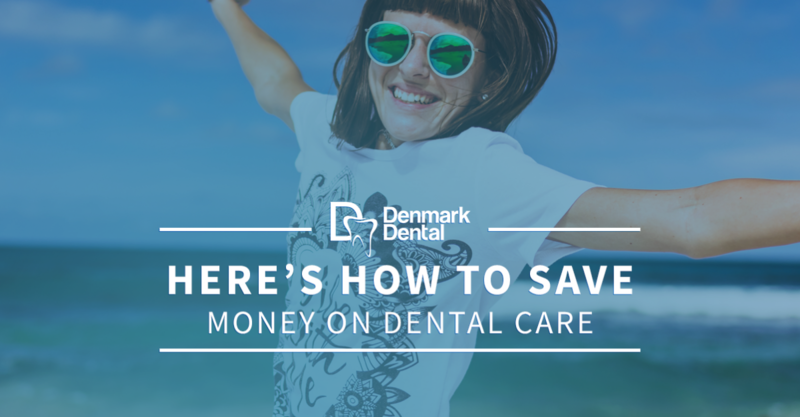 At Denmark Dental, we understand if the cost of dental care is what’s keeping you from scheduling your next appointment. It can be overwhelming to hear what your friends and family may be saying about the cost of their own dental treatments and procedures. We understand your hesitancy. That’s why we want to share some advice on how you can save money when it comes to paying for dental care. The health of your mouth starts with you. You cannot avoid that what you eat, how you sleep, and how often you exercise all contribute to the health of your body. These activities and more also contribute to the health of your mouth. When you practice consistent, healthy oral care habits, you improve your chance of maintaining your oral health. These oral care practices also help reduce the cost of potential dental care treatments and procedures. The healthier your mouth remains, the less time and money you will need to spend to keep it in a good state. At Denmark Dental, we suggest you schedule biannual dental checkup and cleanings. However, the more often you visit the dentist, the more likely they are to catch potential diseases and conditions that could cost you more later on in life. For example, your dentist in Eagan discovering tender, sensitive gums that bleed when gently brush can keep you from developing gum disease, a major oral health condition that can cost you much more than your general checkup and increase in oral care habits. A great way to save money on dental care is to buy dental insurance. Do your due diligence and find an insurance plan that fits your needs. Also, you may want to ask your dentist who they accept so that you can start with those companies first for coverage. Finally, you want to get a plan that’s right for you. Your oral health is your own, and you need to choose how to cover it. It’s common to think that prices at a dental office are set in stone. In some cases, a dentist will negotiate with you on price, accepting a lower price point. This decision is solely up to the dentist, and it hurts no one to ask. In fact, your need for future dental care based on your current oral health state may influence the dentist to accept your offer. In some cases, your dental office may be able to discount your treatment or procedure for a variety of reasons. This is similar to asking for a lower price, but a discount is based on an offer or deal your dentist may be offering at that time. Your oral health is important. How you take care of your mouth and what’s in it influences how much money you will spend later on in life. For most, late-life expenses are typically tied to medical causes, including dentistry. If you take the time to care for your mouth properly, you increase the chance of paying less later in life. The ultimate goal is for you to have a full, bright, beautiful smile with optimal oral health throughout your entire life. When you’re ready to schedule your dental appointment, give us a call. The dentists and staff at our dental office are ready to help you maintain or find a new level of oral health.